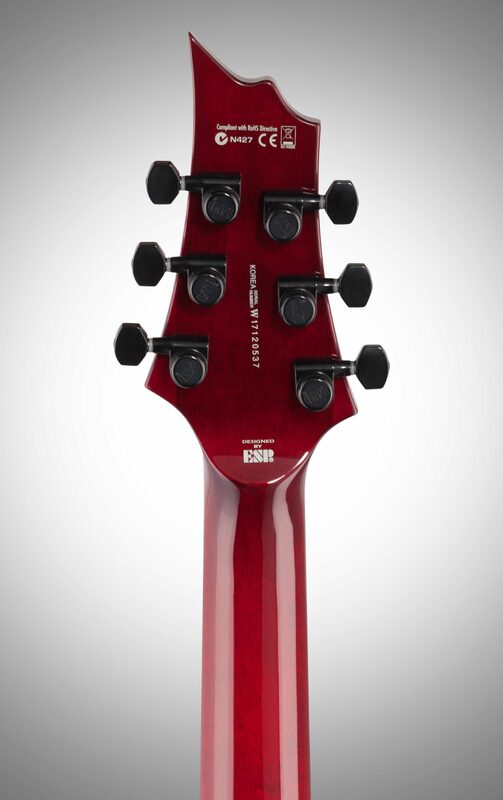 Guitars in the ESP LTD 1000 Series are designed to offer the tone, feel, looks, and quality that working professional musicians need in an instrument. 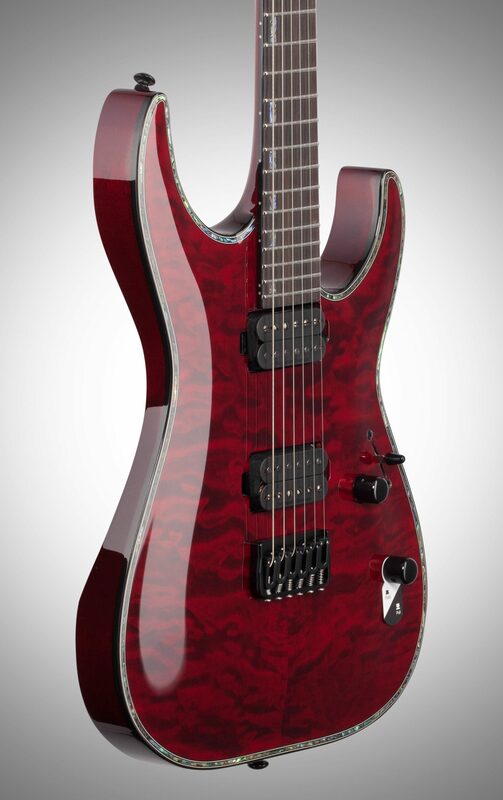 The ESP H-1001QM is simply an excellent all-around guitar for every playing style and musical genre. 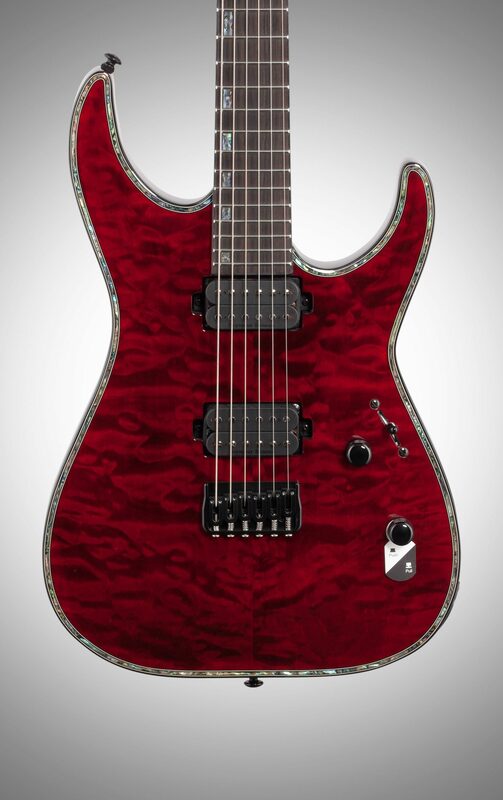 It includes high-end components like LTD locking tuners and a Hipshot bridge with string-thru-body design, as well a highly-acclaimed set of Seymour Duncan pickups that are directly mounted to the guitar's mahogany body. 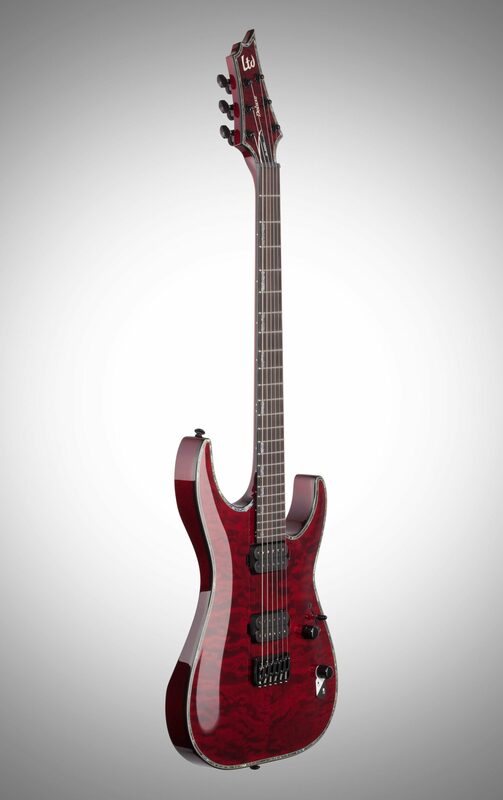 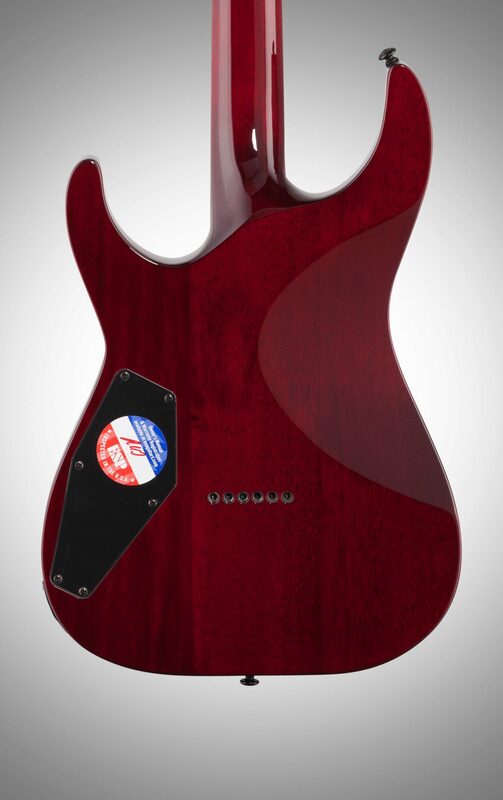 It comes with a figured quilted maple top and matching headstock with a See Thru Black Cherry or See Thru Green finish, accentuated with body/headstock binding with abalone purfling and constructed with a set-thru three-piece maple neck for speedy access to the highest frets, and a Macassar ebony fingerboard with 24 XJ frets. 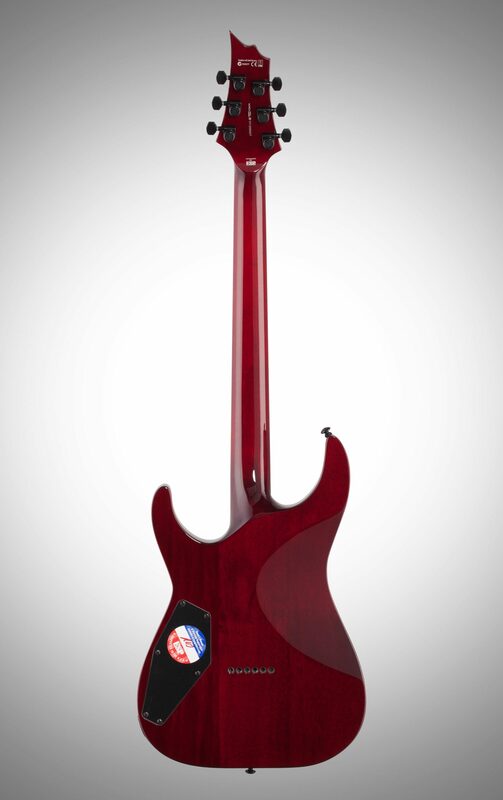 Excellent for metal, rock, progressive, blues, fusion, or any kind of music where you want to stand out from the crowd.